Posted on February 28, 2019 by Mike Sonnenberg Posted in Historic Places, Houses	. Abner Pratt was a former chief justice of the Michigan Supreme Court. He came to Michigan in the 1840s from New York and settled in Marshall Michigan to practice law. Under President James Buchanan he served as United States Consul to Hawaii. 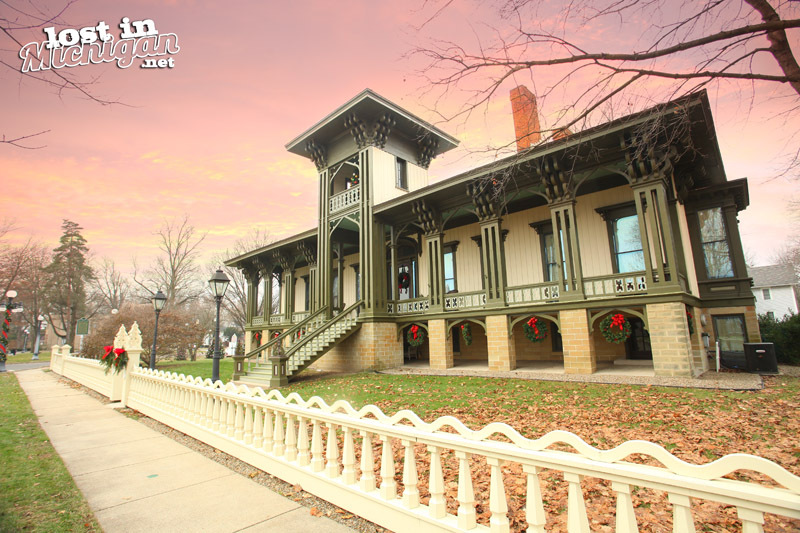 After returning from the Hawaiian Islands in 1860 he built this palace-like home in Marshall to look like the homes on the islands of Hawaii. The house known as the Honolulu House is one of the most unique houses in Michigan. Unfortunately, Pratt died of Pneumonia in 1863 shortly after the construction of the home was finished. The home is now a museum maintained by the Marshall Historical Society. P.S It was a cold December day when I visited Marshall I hope I can get back there and visit in the summer. It’s a beautiful city full of interesting history. Posted on February 27, 2019 by Mike Sonnenberg Posted in Forgotten Places, Houses	. 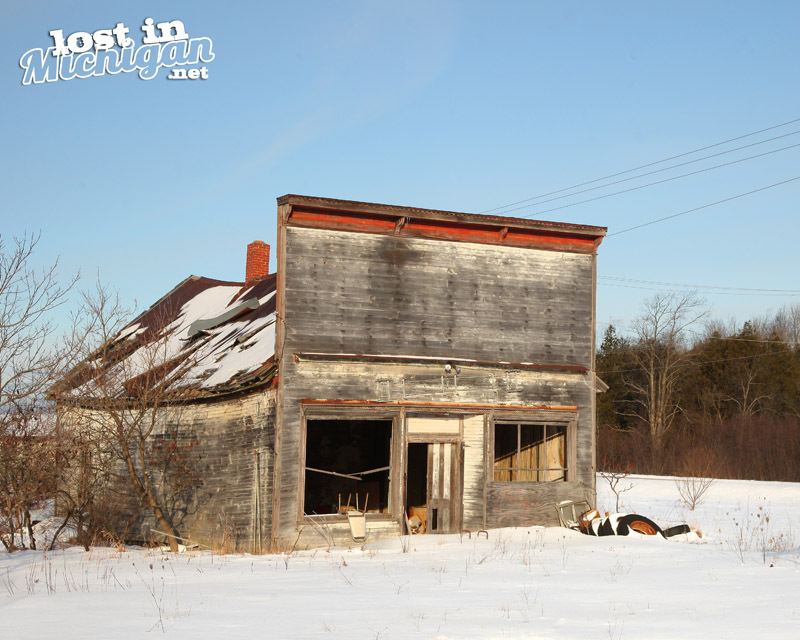 I saw this old house on the backroads southeast of Cadillac. I don’t have a story to go along with it since walls can’t talk. 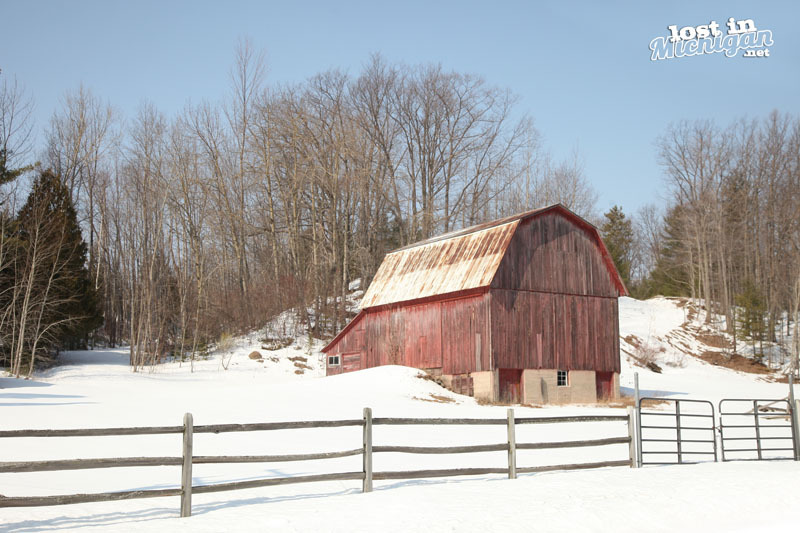 After this long cold winter, I can only imagine what it must have been like living in a rural area of Michigan. I just fire up the snowblower clear off the driveway and take my Jeep to the store if I need something. The thermostat and furnace keeps my house nice and warm. I know people who still heat with wood, and they tell me it heats you up twice, Once when you’re splitting it, and then when you burn it. It must have been a busy and challenging time living through the winter chopping firewood and rationing food for the winter. Posted on February 26, 2019 by Mike Sonnenberg Posted in Houses	. 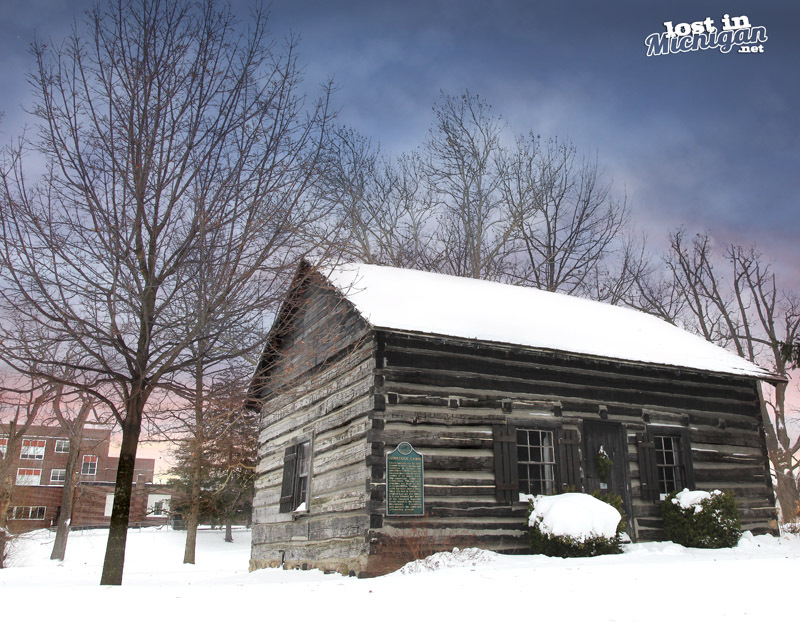 This one-room log cabin, built in 1836, was the first permanent residence in the settlement that became Owosso. 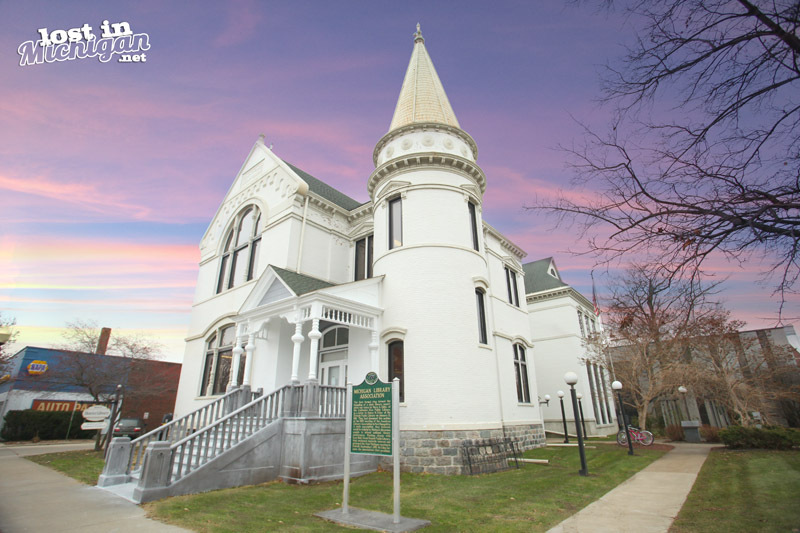 It was the home of Judge Elias Comstock and his wife, Lucy Lamson Comstock who were married fifty-nine years when Judge Comstock died in 1886. In this frontier settlement, the cabin was the site of the first church services (Baptist) as well as the first school classes and the place where newly arrived settlers could stay until their cabins were built. Each cabin required the owner to fell forty logs after which the men of the settlement would gather to erect a cabin in one day. Comstock cabin’s original site was south of Main Street near the river. To preserve the cabin from urban development, it was moved to Bentley Park and finally to this site in 1969 as a project of the Daughters of the American Revolution in Owosso with the aid of Alvin Bentley III. The sign does not tell “the rest of the story” as Paul Harvey would say. 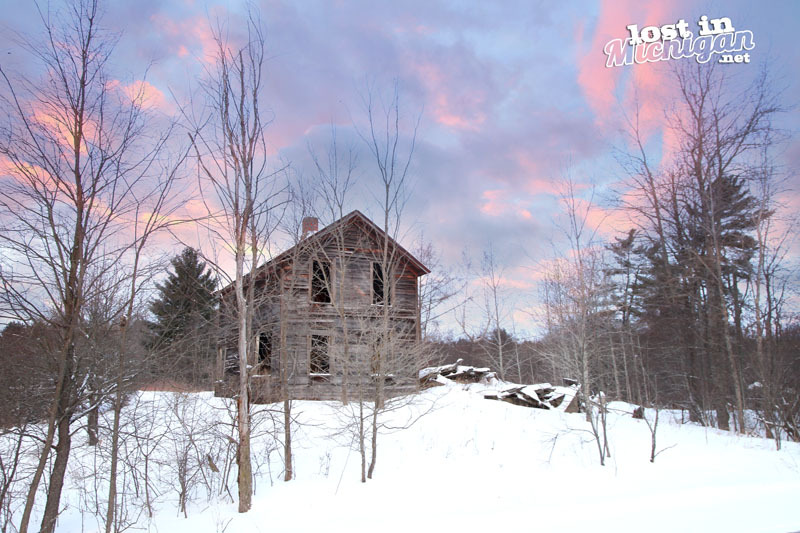 After the original log cabin was built, the Comstocks continued to build onto it. Eventually, it was completely framed in by the house they lived in until their deaths in 1886 and 1890. The home sold a few times until the property was purchased in the 1920s for the location of a gas station. When the house was demolished the original log cabin was discovered as part of the home and used as a living room. That is when it was moved to Bently Park. Posted on February 25, 2019 by Mike Sonnenberg Posted in Houses, Michigan Historical Markers	. 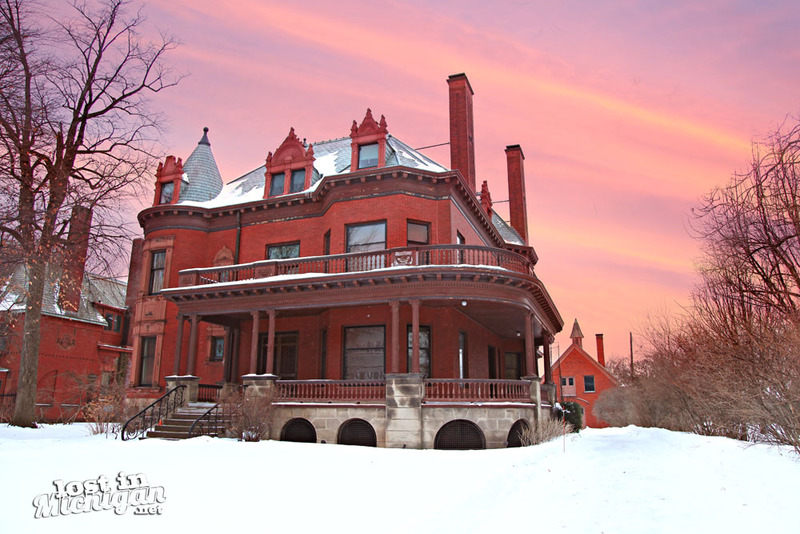 This elegant and perfectly preserved Victorian mansion was built for Carl G. A. Voigt in 1895. 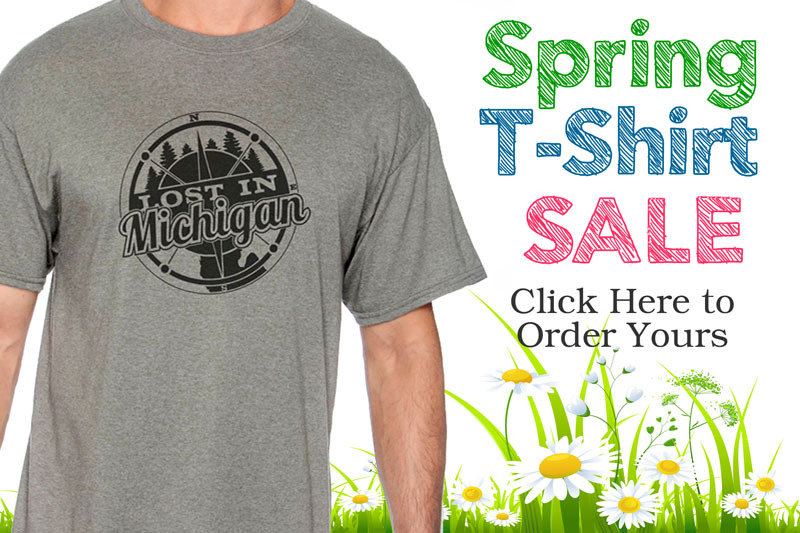 Voigt came to Grand Rapids in 1870 and ran a mill and dry goods store with W. G. Herpolsheimer. In 1902, when the partnership ended, Voigt took over the milling works. The house designed by eminent local architect William G. Robinson, was inspired by the chateaux at Chenonceaux, France. The interior is furnished opulently with original possessions of the Voigt Family. In 1972, a year after the death of the last occupant, Ralph Voigt, the house became a public museum. Tags: grand rapids, Historical Marker, house, kent, Kent county, michigan historical marker, voigt	. Posted on February 24, 2019 by Mike Sonnenberg Posted in Lighthouses	. Thank you for taking the time from your busy day to look at my posts. I hope you enjoy reading what I post. And a special thank you to all of you that have subscribed to email notifications. It really means a lot to me so I don’t have to depend on Facebook or anything else since they keep changing their algorithm. Posted on February 23, 2019 by Mike Sonnenberg Posted in Forgotten Places, Water Tower	. 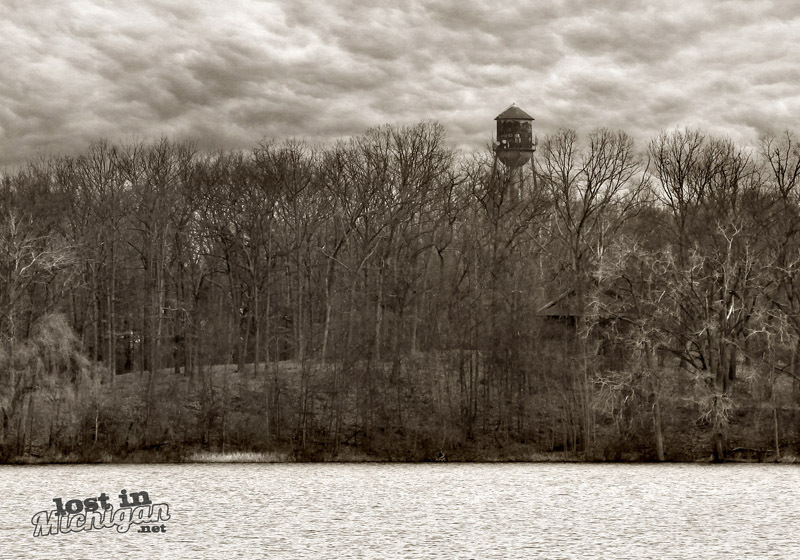 When I traveled through the small town of Otter Lake located between Lapeer and Birch Run I noticed an old water tower standing above the trees on the other side of the lake. It seemed strange that the water tower was so far away from the town. I found out that next to the water tower was the old American Legion Childrens Billet. It was an orphanage built in the 1920s for orphaned children. During the 1940’s it was used as a tuberculosis sanitarium. After the cure was found in the late 40s, it was changed back to an orphanage. Trough the years many children lived and grew up in the billet next to the lake until was closed in the 1970s. The property is currently privately owned and used as a treatment center for addictions. Unfortunately, it’s is not accessible to the public. P.S. If you are wondering about the term billet like I was, the dictionary describes it as A place, especially a civilian’s house, where soldiers are lodged temporarily. Posted on February 22, 2019 by Mike Sonnenberg Posted in Library	. 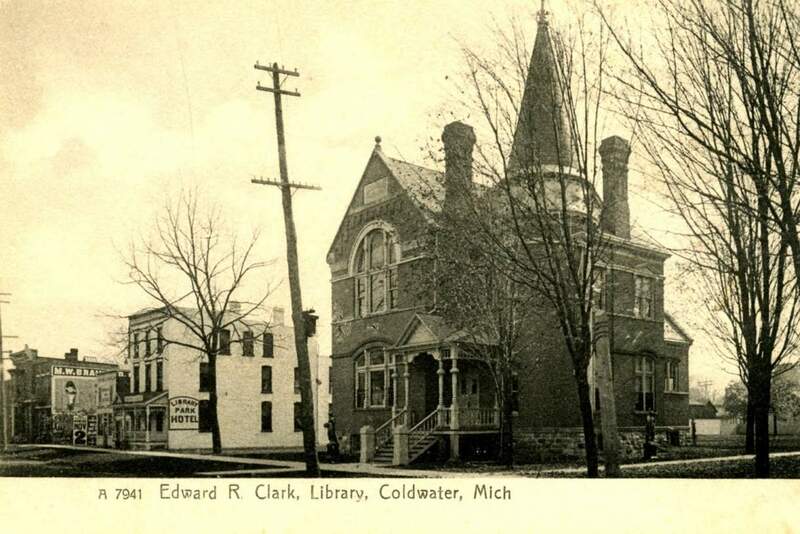 The first formal step toward the founding of a state library association was taken by Mary A. Eddy, of the Coldwater Free Public Library in a letter to Henry M. Utley of the Detroit Public Library on January 13, 1891. They had discussed this matter at the 1890 meeting of the American Library Association in New Hampshire, A state association, they believed would be helpful to Michigan Librarians unable to attend national library conferences. Working closely with Lucy Ball, Grand Rapids Public Library, they awakened statewide interest and arranged the first Michigan meeting in Detroit, September 1, 1891. Mr. Utley became the association’s first president. I am thankful we have such a wonderful library system in Michigan. If my local library in Saginaw does not have a book I need, I can request it from another library in Michigan. Even today with the internet, I still need to find information in books, and having the ability to access so many books is a blessing. P.S. I also found this postcard of the library shortly after it was built and long before the addition was added in 1979. It must have been painted a different color before it was painted white. 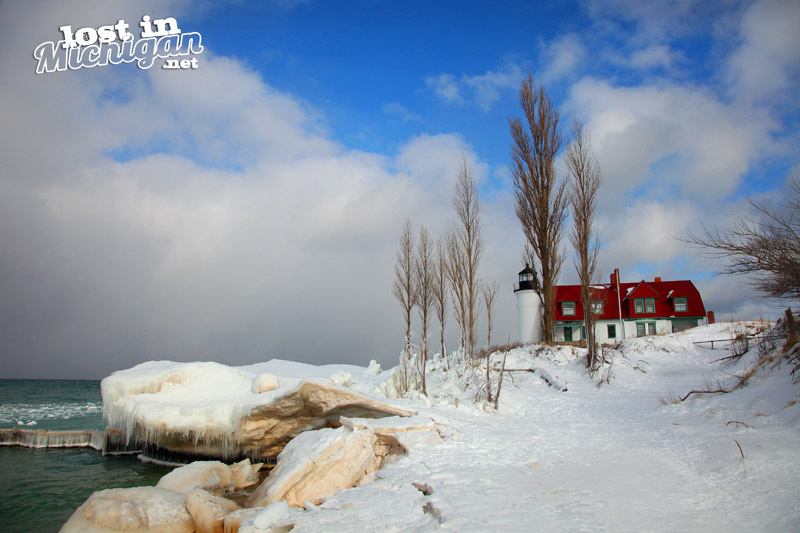 Posted on February 21, 2019 by Mike Sonnenberg Posted in Historic Places, Sleeping Bear Dunes	. If you have ever visited the Sleeping Bear Dunes National Lakeshore and driven down M-22, you probably marveled at the natural beauty as I have. Several historic houses and buildings can also be seen on M-22. 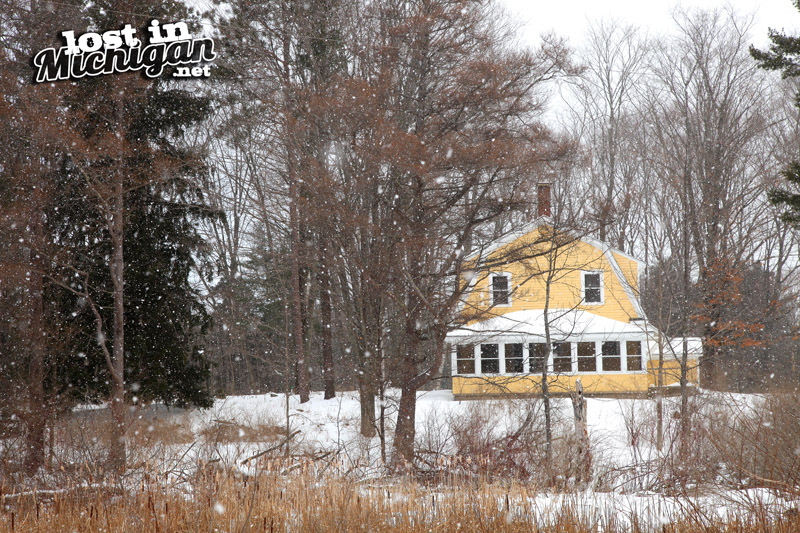 In the southern part of the National Lakeshore nestled in the woods not far from the road is a light yellow house. It was built by Bertie and Donna Bancroft in the late 1920s as a boarding house for travelers visiting the area. On Sundays, the inn was a popular destination for tourists to enjoy one of Donna’s chicken dinners. During the peak season in summer, she would serve over 100 tourists using the chickens she raised at the inn. Bertie lived in this house until his death in 1963. Donna died the following year. The historic old house is now part of the National Lakeshore and is maintained by the National Park Service. 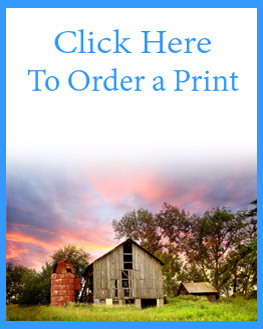 Posted on February 20, 2019 by Mike Sonnenberg Posted in Barns and Farms	. I wonder how many people go out on a drive to see the snow. I think winter can be beautiful, as long as the roads are clear it can be a relaxing drive. Posted on February 19, 2019 by Mike Sonnenberg Posted in General Store	. When I go on a road trip I usually have some destinations planned out, but I typically take backroads to get to where I am going. You never know what you will see along the way. I saw this old store somewhere between Mesick and Bear Lake. I can only assume it was a general store or saloon long ago from the shape of the building. I tried to find the name of a town in the area but I couldn’t. I stopped took a few pics from the road and moved on. It looks as if all their customers moved on too. I imagine back in the day, it was travelers on dirt roads in tear dropped cars that stopped for a Vernors and some gas. Now I can just set the cruise and keep on going, unless I see something along the way.